This article outlines certain compatibility features with the Xbox One Wireless Controller and the original Xbox One Wireless Controller. As of June 2015, new Xbox One Wireless Controllers will include a 3.5-mm port so users can connect a compatible 3.5-mm audio jack directly to the controller. 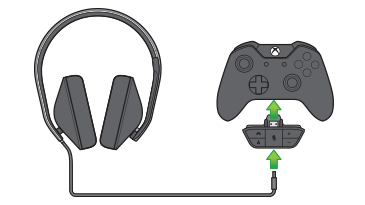 For more information, see Connecting a compatible headset to Xbox One. Both the Xbox One and original Xbox One Wireless Controllers supports secondary devices, such as audio headsets, through its controller expansion port. 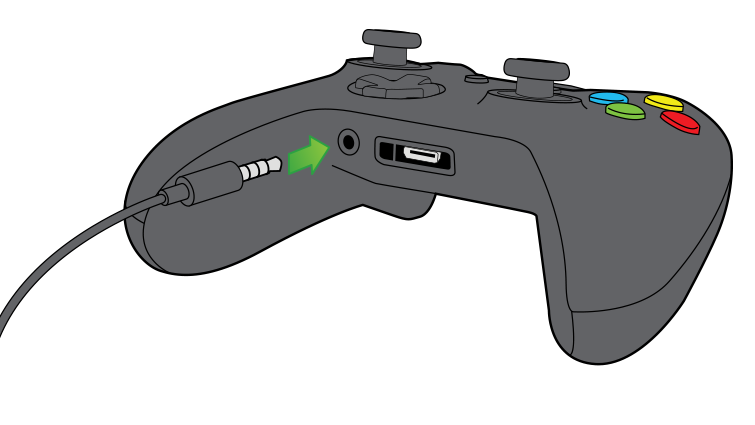 Currently, third-party wired controllers don't have this port. Therefore, peripherals designed for the Xbox One and original Xbox One Wireless Controller that are dependent on the expansion port will have limited or no functionality. If your headset requires audio to be plugged into either the Xbox One or original Xbox One controller via the Xbox One Stereo Headset Adapter, it may not work on a third-party controller. Note Audio is not supported over Bluetooth when using the Xbox One Wireless Controller. Older versions of the Xbox One controller do not have Bluetooth. If you want to have chat capability with a third-party wired controller, try using the chat capability on the Kinect sensor. Elite 800X (available through Turtle Beach). For other Turtle Beach options, visit their compatibility page. Note These products might not be available in all regions. For additional options, check the third-party product manufacturer's page to see if they offer products that don't require the controller expansion port. Would you like to contact Support regarding the "Xbox One controller and headset compatibility" issue you were reading about or a different issue?